Janis Lyn Joplin was born at St. Mary's Hospital in the oil-refining town of Port Arthur, Texas, on January 19, 1943. Her father was a cannery worker and her mother was a registrar for a business college. As an overweight teenager, she was a folk-music devotee (especially Odetta, Leadbelly and Bessie Smith). After graduating from Thomas Jefferson High School, she attended Lamar State College and the University of Texas, where she played auto-harp in Austin bars. A fraternity voted her the Ugliest Man on Campus in 1963, and she spent two years traveling, performing and becoming drug-addicted. Back home in 1966, her friend Chet Helms suggested she become lead singer for Big Brother and the Holding Company, an established Haight-Ashbury band consisting of guitarists James Gurley and Sam Andrew, bassist Peter Albin and drummer Dave Getz. 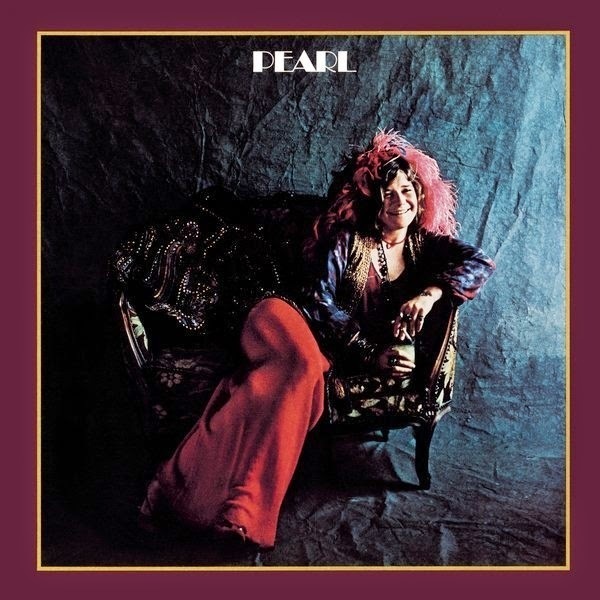 In March 01, 1971 Janis released her second solo studio album "Pearl". The power of the album leaves the listener to wonder what else Joplin could have accomplished, but few artists could ask for a better final statement. Joplin sang on all tracks except "Buried Alive in the Blues", which remained a Full Tilt Boogie instrumental because she died before adding vocals, but she approved the instrumental track. She died in October of 1970 from a heroin-alcohol overdose, and "Pearl" was released posthumously the following year. The quadruple-platinum set became the top-selling release of Joplin's career and, in 2003, was ranked #122 on Rolling Stone's "500 Greatest Albums of All Time." Janis Joplin – Vocals, Guitar on "Me and Bobby McGee"
Bobby Womack – Acoustic Guitar on "Trust Me"